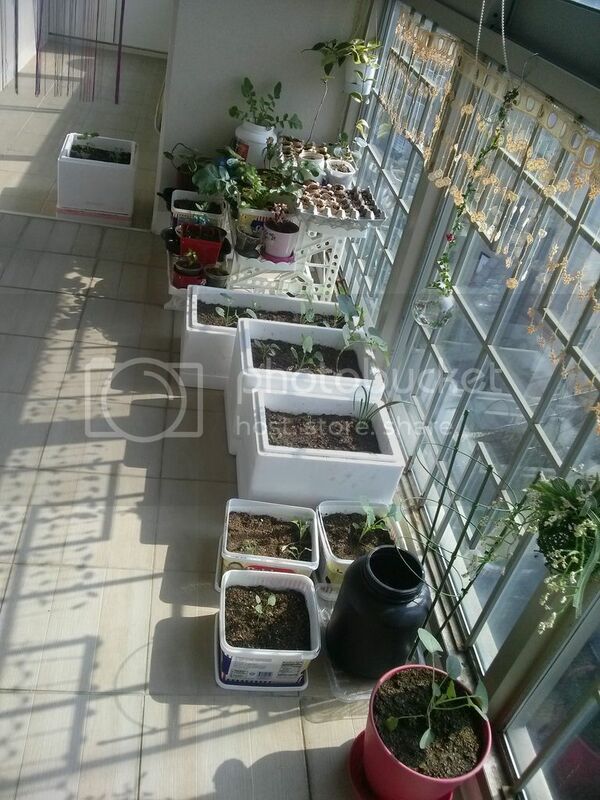 Winter is a downtime for my veranda farming. But as soon as I came back from vacation, I immediately got myself dirty for indoor farming courtesy of recycled containers and styrofoams. Loveit! I have radish, paprika (green, yellow, orange and red), chili peppers, onions and maybe brocolli in there! It’s wonderful to see these tiny seeds grow into edible plants. I am soooo excited for warmer weather for me to be able to transplant these in my tiny patch of outdoor veranda soil. Hurray to veranda farming! Huranda to Veranda Farmer Wendy!